A fresh, spring green card for Kirsti and René's wedding day. 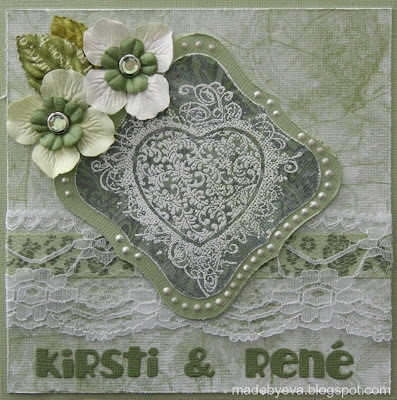 What is it about me and green wedding cards these days?? Am I green of envy or something? ;) Weird stuff. I had a look through my DCVW Old World stack, it's been a while. The green ones in there were light enough to work for this occation, and I teamed them with white as usual.